With two World Cup Finals, two 6 Nations Championship Winners Medals, two Heineken Cup Winners Medals and seven Premiership Winners Medals, the ex-England captain, Leicester Tiger and Bath stalwart is a true rugby legend, winning next to everything there is to win in the game he loves. In 2012, injury forced the most capped England flanker to call time on his illustrious career. Outside of rugby, Lewis has competed in many challenges and expeditions including ‘Extreme Classrooms‘ which is an annual expedition for children aged 11-16 with complex social, behavioural and/or learning difficulties from schools throughout the country. Expeditions have included trekking to Everest base camp and cycling around Mont Blanc. In 2015, Lewis took part in an extreme charity challenge ‘Head North’, a 100km trek from Ice Camp Barneo to the Geographic North Pole, the highest point on Earth. 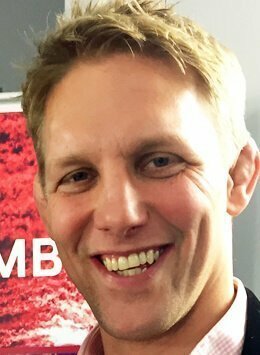 The trek raised over £250k which was split between the Royal Marines Charitable Trust Fund and Lewis’ very own charity The Lewis Moody Foundation. The foundation was set up by Lewis and his wife to tackle illness & fulfil dreams for young families affected by serious illness. Whatever the next chapter holds for the ‘Mad Dog‘, there is no doubt that he will meet it with 110% as he only knows how. Moody is a very approachable and likeable guy off the field, who is never shy of speaking his mind or telling a funny story. As a former England rugby Captain, and being part of the best rugby team in the world, Moody can inform and advise how to get the best out of any team. The feedback from my entire team has been nothing short of spectacular. The subtle analogies and references to the world of business throughout your speech really worked well. Our conference was all about motivating the troops and from this perspective I could not have asked for any more from you.